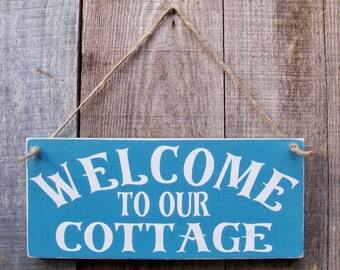 Welcome to Spring Creek Cottage, a custom sign shop! We are so pleased you have dropped in. 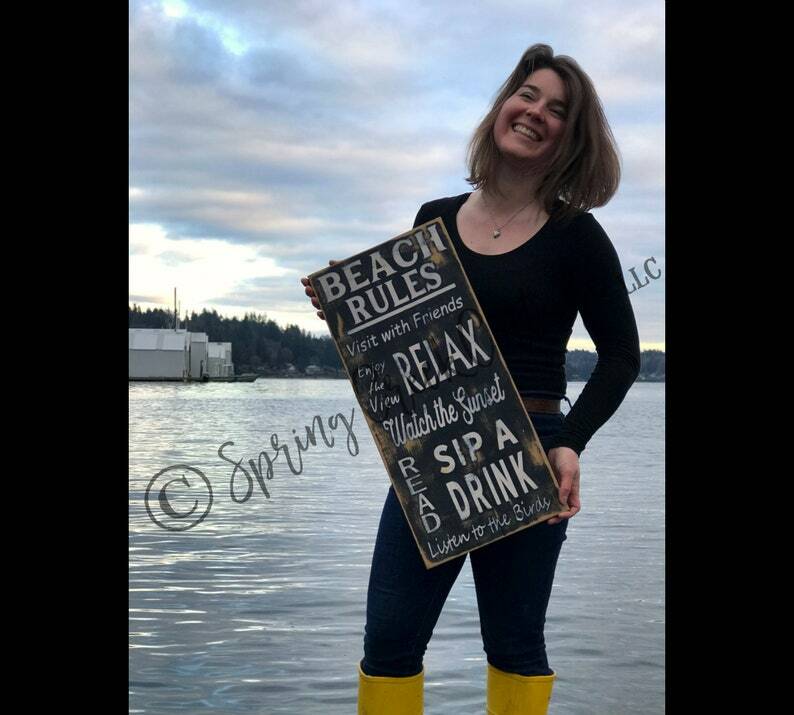 At Spring Creek Cottage we enjoy assisting you in the creation of your custom sign ideas, giving you endless possibilities for a truly unique gift tailored to each of life's special milestones. Whether you have an upcoming wedding, anniversary, housewarming, baby shower, birthday, graduation, or memorial, our signs are made with a quality that honors life's most precious moments. We hope you enjoy your visit, please don't hesitate to reach out to us if you have any questions. ➽ It measures approximately 11 inches (or 27.94 centimeters) by 24 inches (or 60.96 centimeters). ➽ Each board is carefully selected for it's character. Thus it may have knots and other character markings giving you that one-of-a-kind look. Our rustic wood signs are 100% handmade and hand painted by our family, one at a time, at our cottage in Washington, USA. WE NEVER USE prints, vinyl stickers, or artificial wood products. We take great pride in each sign we create so you can have confidence in the workmanship, both as part of your home decor or as a gift! © Copyright 2010-present by Spring Creek Cottage LLC. All rights reserved. Love this addition to our little garden! This Sign is well made and will stand up to our rainy climate...Fast shipping and excellent communication... can’t say enough nice things! Absolutely beautiful! Made and shipped very quickly. Perfect! Exactly what I was looking for. And great customer service and prompt delivery. I adore my sign! Perfect addition to my little coop! Our wish is that each of our customers are delighted with their hand-crafted gifts. If you are not 100% satisfied with your gift, please contact us! For return inquiries, you must contact Spring Creek Cottage within three business days of receiving the item. We will authorize the return and your money will be refunded within three business days of receiving the returned item. The item must be returned in unblemished, sale-able condition, otherwise no refund will be issued. There is no refund on shipping charges. Please check that your shipping address is correct during checkout. We are not responsible for items returned "undeliverable". You are responsible for any additional shipping charges. All designs and images owned by Spring Creek Cottage, LLC: © Copyright 2010-present. All Rights Reserved. Can Your Signs Be Used Outdoors? Absolutely! 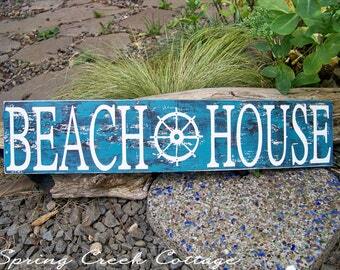 All our signs are handcrafted to be enjoyed both indoors and out.